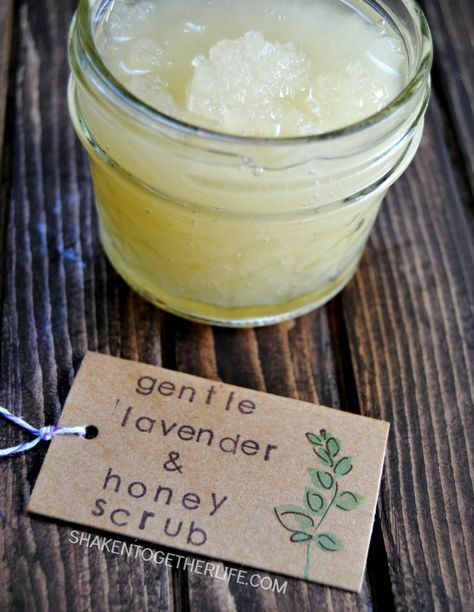 Beat dry, flaky skin with a gentle lavender honey scrub! I love it for the dry areas on my face, cuticles and hands. And there are only 4 ingredients!